Spring is the best time to check on the health of your basement. Basement issues tend to turn up after harsh winters. While most people would look for obvious signs of basement issues, such as mold and wet spots, there are many other less obvious signs of basement problems and basement rust is one of them. Rust is a reddish-brown crust-like substance that forms on the surface of steel and iron objects. Rust is actually hydrated iron oxide. Therefore, three elements must be present for rust to form: water, iron and oxygen. Oxygen is ever present in the air we breathe. Iron is an element present in most metallic objects in basements. Water doesn’t have to be present in liquid form. It can be present as water vapor in a humid space. When you spot rust in your basement, it is often a sign of high moisture levels in the basement. This in turn may indicate a water seepage problem in your basement. It is therefore important to always be on the lookout for signs of rust. Check drywall screws or nails for rust. This is often an indication of high humidity or leaking behind the drywall. Rust stains on the carpet or rusted tack strips are often an indication of high moisture levels in the air or a leak that has affected the area. This may be as a result of seepage and should be checked especially if there is no leaking plumbing in the area. 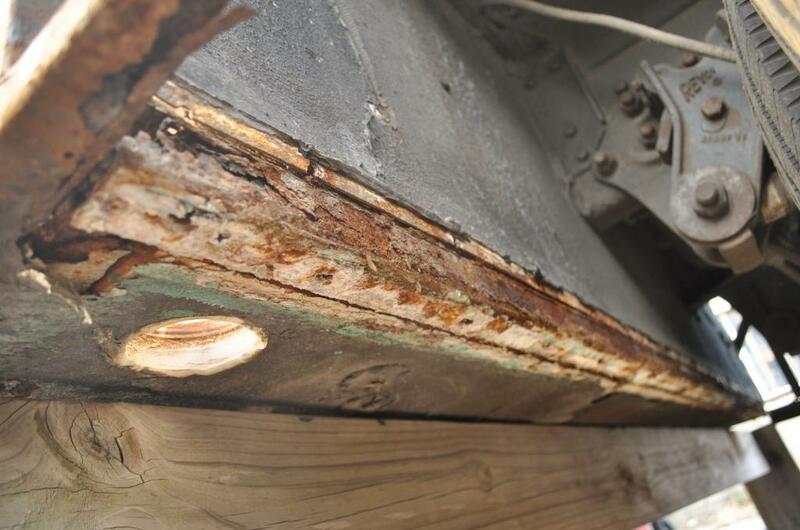 Steel develops rust when exposed to moisture for an extended period. If you have a water seepage problem in the basement, the bases of the steel beams or columns in the basement will develop heavy rust. This is often a clear sign that you should seek foundation repair. If your heating system is located in the basement, then check below the system for water or rust stains. Be sure to keep checking your basement for signs of rust. This will help you identify problems with your foundation early.